I can’t believe how fast time flies! The second year of paying down my student debt has passed, and I didn’t even notice. After the first year, I posted an update that outlined a review of our journey. It seemed to help some, so I decided to do the same for the second year. This year there were some ups and downs (a lot more downs than we thought would happen), but I am so pleased to announce that we are on track to finish paying off our debt in under 10 years. In fact, if we continue on this same trajectory that we’ve been on, we are actually estimated to finish 6.9 years from now, for a total of 8.9 years!! And I have high hopes to bring that number even lower. Read on to find out how we got here, and where we plan to go. To recap, we started off our journey with $574,034.50 of student debt (including the interest that had accrued)! All of which was mine. To date, we have paid a total of $145,128.48 towards my student debt over the last two years, bringing the principal amount down to $481,368.06. To understand the progress, do recall that after year one, only $28,000 went towards paying down the principle. The rest of the $84,000 that we had paid towards the loan went towards the interest only. This means that only 33% went towards paying down the principle amount of the loan. In year two, you start to see improvement. Of the $61,000 we paid to the loans, $29,000 went towards paying down the principle. That’s 47.5% of our payments going towards actually making the loan smaller! Off course, you will see right away that we paid way less towards the loans in year two ($61,000) versus year one ($84,000). If we had paid the same amount or higher, we would have had an even higher percentage going towards the principle balance. So I guess this is a great time to recap what slowed us down this year. In September of 2018, we decided to buy property. Property ownership was something we felt was right for us to do. We bought a live/work space that we hope to utilize in the future for some sort of business. Meanwhile, we are co-housing, or as financial independents might say, house-hacking, our way towards paying down the mortgage. Buying the property did entail two things to happen: We used some of our emergency fund to place a down payment on the home. Because of that, we are now re-building the emergency fund back up to what it was, which decreased our ability to pay back loans. Currently, we are setting aside $1k a month to rebuild the emergency fund and are on track to being back to normal in March of 2020. Also, it raised our total payments towards our housing a teeny bit, since now we pay for things like HOA fees and home insurance. In October of 2018, we were delivered some shocking news. Mr. Debtist’s company experienced a laying off of 80% of the people working there, and even though Mike was one of the “lucky” few to stay, his pay got decreased by more than 50%! It was something we were not really prepared for, so on top of wanting to re-build the emergency fund, we also had to deal with a huge blow to our income. Since we were living off of one income, the change in salary really affected our ability to pay down the loans. But we made it work! That’s part of the joys of being on Loan Forgiveness Program even though we were paying it back aggressively. They still only required the minimum payments. Off course, we continued to pay more than the minimum. We were able to keep up with the interest that accrued and to slowly bring the loans down. Now that those two negatives are laid out, here are some positive things that happened! A conversation with Travis from Student Loan Planner (affiliate link) is saving us THOUSANDS of dollars. He brought to our attention that we could optimize the loan repayment by switching from IBR to REPAYE. How does this help? Under REPAYE, the government subsidizes the interest at 100% for the first three years for an subsidized loan, and at 50% for unsubsidized loans and subsidized loans that have been present for longer than three years. Which means every month, we are given a free $850 to go towards our loans and help us out! This is fantastic because now that Mr. Debtist has a new job and we are back to our previous income, we also are getting help to pay back the debt. Whereas last year we were paying $6,500 per month towards the loans, we are now sending $7,300 towards the debt with the help of REPAYE’s stipend. And while we were dealing with the smaller income stream for four months, we were still getting that helpful $850 to add to the few thousands that we were contributing to the loan. If you want some loan advice, I really think Travis is your guy, and you can schedule a call with him to discuss your particular situation. Additionally, the side hustle game has been ramping up since 2019 started! Now that we have our budgeting in order, it was time to start increasing our income. I was already writing on this blog and doing some dog-sitting on Rover, but I just recently started as a bread baker, and soon thereafter opened my own bakery called Aero Bakery. In January, I made only $14 in side-hustles, which made sense since we were off traveling in Australia and New Zealand for the first half of January. In February, I made $450, and in March, I made $750. For April, I am on track to make an extra $1,500 in side hustles! Read more about why I am an advocate of side hustles, here. So now, we are not only back on track with making $6,500 payments, but we are actually on track to be finished one year early! How did we do that? By being AGGRESSIVE. The minimum payment for a 10 year repayment plan was $6,063 a month. We set our sights on $6,500 a month. Even with the lapse during those few difficult months while Mr. Debtist struggled with his work situation, we were still able to be at a point where we have only 6.9 years to go! How exciting is that?! And what’s even more exciting is that I predict this will all snowball even more! I turn 30 years old this year, and wouldn’t it be great if this would all be cleared by the time I turn 35? That’s right! I have my sights set on getting rid of this in 5 more years. Here’s what we have planned. Since we are now switched to REPAYE, we are making $7,300 contributions towards the loans, instead of the $6,500 that we were previously doing under IBR. That will vastly improve the trajectory of our path. In March of 2020, we predict to have saved enough for our emergency fund, leaving an extra $1k to be funneled into the loans. That would increase our contributions next year to $8,300/month. Also in Spring of 2020, Mr. Debtist is scheduled to finish his car loan payments. While I was in dental school, Mr. Debtist got a car loan and we currently pay $585 towards it every month. Freeing up $585 will increase our loan contribution to $8,885/month. The side-hustling is just getting started. I hope to continue with many of these hobby-turned-hustles, and we will see how that impacts our payments. Lastly, we decided not to refinance our loan at this time because of the risk of not being able to meet the minimum payments in case we have another fiasco like the job situation. However, when the loan is small enough (say under $300,000), we may still consider refinancing the loan. It’ll be less of a risk at that point, since the monthly payments will be way more doable. If we DO refinance as we get closer towards paying the loans off, then we will be able to attack the loans at an exponentially improving clip. Please note that we are paying back student loans aggressively, but we are also doing it responsibly. We are living within our means, investing in our 401ks respectively, and are diversifying by entering real estate last year. I make myself less susceptible to fluctuating job conditions by having my own dental S corporation, opening my own bakery, working as a dog-sitter, working as a baker for another company, and doing some writing on the side. We are also a dual-income household, which greatly affects the possibility of this success. If you are feeling lost in your student loan repayment journey, or you simply want to know your options, I would start with talking to a consultant at Student Loan Planner. This path is not for everyone, but it also may be more doable than they want us to believe. For those who just want to get budgeting down, why not start with my free course on creating a budgeting tool? In this space, I try to address ways in which we can rethink a lifestyle in hopes of saving a couple of bucks. Sometimes, the advice borders insensitive, especially when it doesn’t apply to a particular person or group. Today’s post definitely pushes the bar, since it is glaringly obvious to me that not every household has the luxury of having more than one income. But speaking about finance itself makes us all very privileged. To have the ability to access a computer, to have the time to sit down and read, to have control of where our money goes, to have money worth talking about, these are all very stark privileges as compared to people whose conversations surround how to get food on the table, how to keep their kids safe. May I be the first to say that privilege seeps from my life since the moment I was born, and I am hyper aware of it. That being said, I think it’s important to point the privileged towards a direction, so that we may use money (specifically) to push the needle towards a better tomorrow, rather than spend our excesses flippantly over trivial things for today. Conclusively, it’s important to limit the spending of our earnings on only the things that bring joys that have permanence, and one such way to do that is to dedicate only one income to lifestyle spending in the cases where there are two (or more). When I think back to my grandparent’s time or farther, I see a period when the traditional family dynamic of a stay-at-home mom and a working dad existed. Raising 8 children in a third world country off of one income could not have been easy. But they made ends meet. Even Mike’s grandparents grew up on a farm, with his great-grandpa owning a diner that sold burgers for $0.10 each. His grandma talks of wearing the same few shirts a week, and keeping her old furniture because it still functions. My grandma takes paper towels at family gatherings, washes them, and hangs them to dry over the sink for re-use later. These little indications serve as reminders that they don’t do it to be frugal, but rather, because that’s how they’ve always done it. It’s a lifestyle born out of a necessity. I’m not saying that this way of living no longer exists, because it still largely does. But it is becoming less and less common. Today, it is becoming more frequent that households are dual-income, so before we get too carried away rejoicing at the larger sums of money we are taking home, may I suggest we act as if none of it has ever changed? By assuming that we still need to live as if we make only one income, we too can live this lifestyle. I’m not talking about washing your paper towels and hanging them to dry (since nixing paper towels all-together is really the lifestyle I’m trying to advocate). I’m only saying, be less wasteful, of money and other things. But especially, of money. My biggest gripe with people telling me that I could not tackle my $575,000 of student debt was their assumption that with a bigger paycheck comes a richer lifestyle. “Let the loans grow, and just wait 25 years to pay it all off! I mean, surely you’ll need to worry about buying a grand house, a new car, a dental practice. Forget that the student loans will be over a million dollars of debt by the time your 50 years old, you can worry about all that later.” I see this all the time. People who have double the income are more comfortable with going out to dinner every night, buying new cars, purchasing homes, shopping every few weeks, racking up consumer debt. The people who have to worry about money, somehow, are more capable of getting by without having any debt. Better equipped, I would say. Mr. Debtist and I both grew up in families with a single income. We had everything we needed to live happy lives and become decent people, even though our families were not exactly the richest family on the block. With this realization, we decided, well, how bad would it be if we lived off of one income? Dentistry comes with great pay, but we will need 100% of that pay for the next 10 years in order to pay down the loans. What if I worked for free for ten years, served my time, and we act as if it was a single income household like it was during our up-bringing? It would hardly be restrained living. We don’t have any kids to worry about if the cat doesn’t count, and Mr. Debtist makes enough money to support two people comfortably despite living in Orange County, California. Plus, we are very simple people. It was this realization that allowed us to tackle the debt. As you may already know, the naysayers had me on the 25 year loan forgiveness plan for the first 8 months after graduation. It was in this time span that we tested out our theory: Living off of one income will allow us to pay back a debt that no one else believed we could. It only took a few months to prove to ourselves that this will work. The intentionality with money is really what propelled us down this path, and we started to accomplish something people didn’t believe we could. 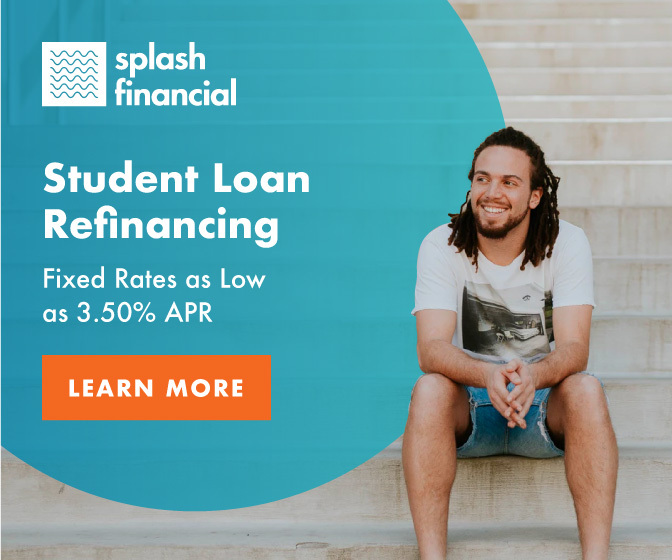 Switching loan forgiveness plans can save you thousands of dollars, but by switching from a 25 year loan repayment to tackling student debt aggressively, it will save us more than $150,000 dollars, and 15 years of our life. Which is why I am willing to risk the flack that I might receive for the insensitivity of this post. Because nobody told us we could. There wasn’t ever the suggestion to work for free. People didn’t think to tell us to act as if we were a single-income household. It almost felt like we didn’t have a choice. It’s important to speak about these things, because it’s the only way to empower people. For some, it may be obvious. For others, it may be offensive. But for others, still, it may be the only thing that will free them. If you’d like to try and see if switching to a single-income household is a good life hack for you, try to start with creating a budgeting tool! I sat down on Valentine’s Day to write a post. I wasn’t sure what to write about at the time, but the feeling of love was all around. Suddenly it dawned on me. I thought of kisses, specifically those that befall on children’s heads. Parents kissing their children on the lips, as if to say “I love you, and don’t you forget it”. I’ve seen it often, too, as a simple gesture signaling comfort. A mother kissing a child good luck in the waiting room, as the child is called into the back of the dental office for x-rays. A father kissing a child in tears, telling them to be brave and good, as he holds their hand during the first dental visit. I’ve seen a mother cooing a baby to sleep while her teenager gets a cleaning, and kissing her darling baby goodnight. I’ve seen it over and over again, the kiss, this symbol of love. Do people know that babies are born cavity-free? This isn’t because they don’t have teeth, but rather, because all babies are born without the bacteria that causes cavities — Streptococcus mutans, if you want to address it by name. Like other bacterial infections, acquiring this bacteria requires exposure. In fact, the only way to have cavity-causing bacteria is through someone else’s saliva. And guess whose first on the list to expose babies to cavity-causing bacteria? That’s right! The child’s immediate family is usually the first people to expose the little one to cavity-causing bacteria. My mind races with images of parents sharing their meals and feeding young children food from a mother or father’s plate, while the little ones swing their knees above floors they can’t yet reach. I think of the way we teach children how to drink from a glass, by demonstrating with our cups, and then asking them to mimic the motions. I think of ice cream cones shared on a summer day, peanut butter sandwiches with alternating bites. I have even seen parents chew their baby’s food for easier eating, then spitting it out and feeding it to them. That isn’t foreign to me at all. We’ve all seen pacifiers drop from a baby’s mouth or a baby’s hand. The next scene is familiar. Usually, the parent picks up the pacifier and rather than returning it to the baby dirty, they stick it in their mouth to clean it, before handing it back. When I tell people that their one-year old has sugar bugs on their teeny tiny baby teeth, parents often look at me with shock. How could their precious baby have sugar bugs so early? What did they do wrong? When I follow it up by saying that their child probably caught it from someone at home, they look at me like I’ve just offended them. “You mean to tell me this is my fault?” they would say. No, I am not saying it is your fault. It’s nobody’s fault. It just happens. Just like someone with a cold can transfer it to another person in their surroundings, bacteria in your saliva just, well, transfers. So, what can we do to prevent it from transferring? I think it would be highly impractical to tell all parents to refrain from kissing their kids on the lips all-together. In fact, I think some parents would have a melt-down, even though I know some dentists do tell them anyway. If we are being completely honest, that would definitely help prevent early cavity formation. But the other truth is, parents will still want a way to show their love. So if it’s impractical to suggest it, let’s talk about the alternatives.